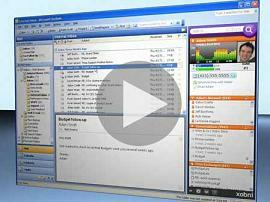 Xobni is a plug-in for Outlook. With the help of Xobni you can search your emails and people quite fast. Whatever you are looking for immediately popups up as you type. For instance you are searching for the emails from ‘Jones’. Start typing Jones and automatically as you type the alphabets the search result starts to filter out.